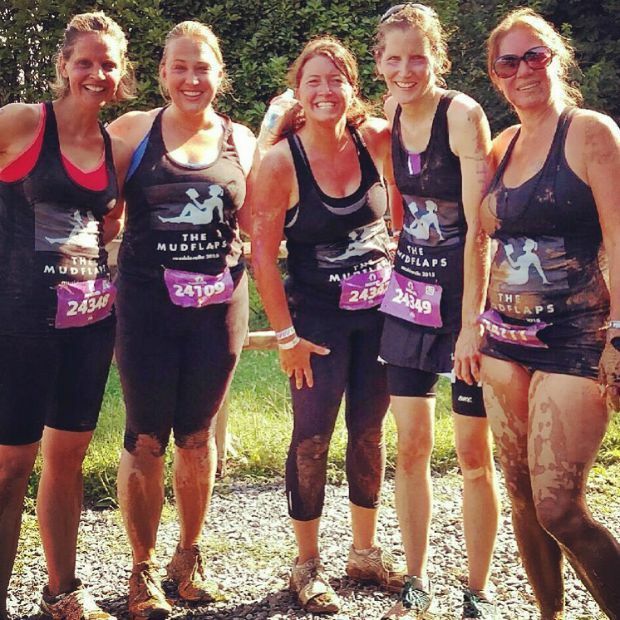 Mudderella: You have to do it! I do not like getting dirty. My friends Tammy Jeep Momma, Jennifer, Melissa, Tracy and I (aka The Mudflaps team) participated in the DC Capital Region Mudderella this summer. 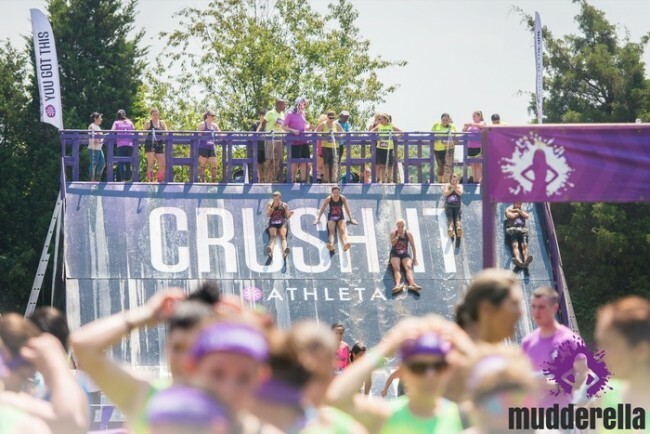 Mudderella is the first and only full-day athletic event series designed for women, by women, to challenge all-round strength, balance, endurance and agility in a team environment. We The Mudflaps conquered 12 obstacles during the 5-6 mile course and had a truly amazing morning! Do you love the shirts we had made special to get all muddy? 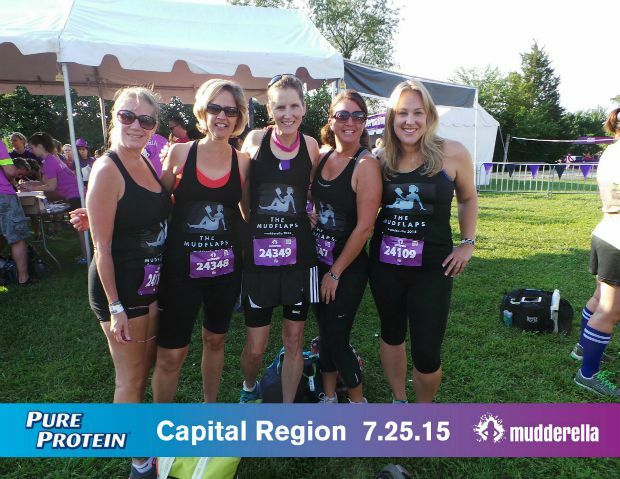 We chose black tanks with our team name as well as a bookworm/feminist take on the classic mudflap girl. 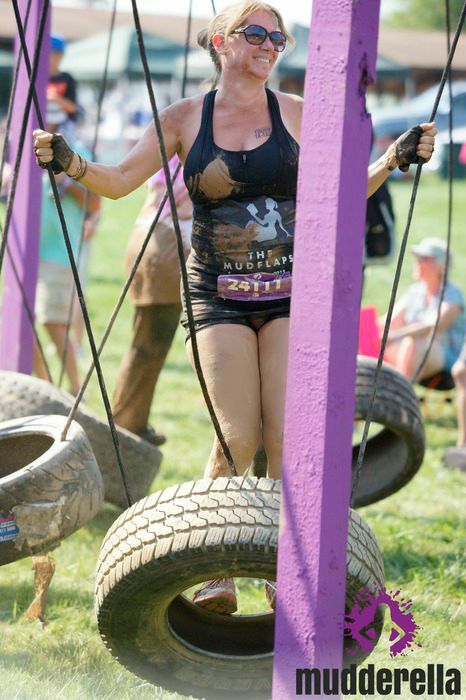 Mudderella’s motto, “Own Your Strong,” encourages women to get out, get muddy, and have a blast while pushing themselves through the obstacle course, and that is just what we did. We trained together when we could leading up the event, some of us running together, others taking a morning women’s bootcamp. We all exercise regularly so we simply added on this team training to our routines. 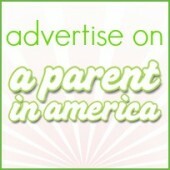 Mudderella helpfully provides a free online training program to anyone interested! However, we did not go as hard-core as one might train for a triathalon or other athletic event. Probably the hardest core thing we did was not drink any wine and get 8 hours sleep the night before. 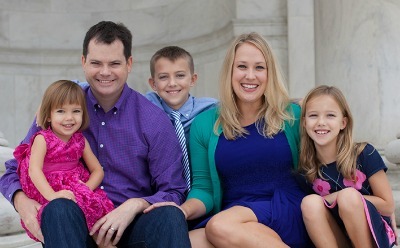 The morning of we all piled into Tammy’s Jeep with the top down and drove out to the Mudderella course. Parking was a breeze. We enjoyed checking in and gearing up at the various pre-event stations. Athleta was there with lots of swag, there were temporary tattoos and purple and black skin crayons for writing our bib numbers on our arms and there were Pure Protein stations everywhere. Best of all, a female DJ was on a raised stage getting us all pumped with power tunes. Once we had got in the spirit, checked our bags and hydrated, we headed to the warm up station where a trainer led us in stretches and conditioning exercises before beginning. * The course is designed to be run continuously from start to each obstacle and between each obstacle. However, you or your group can choose to walk whenever you feel like it. 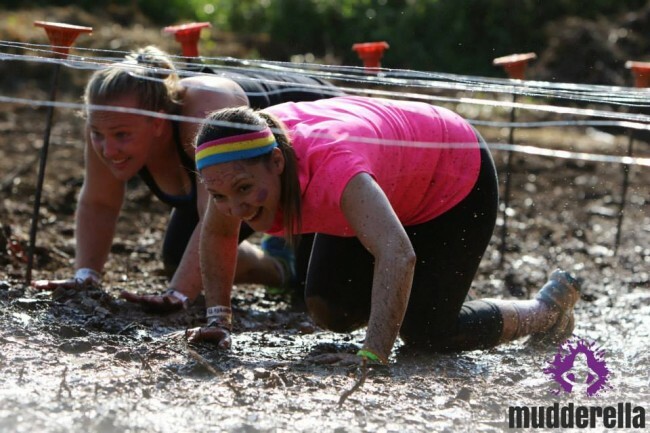 * Mudderella is not timed and it is not a race, so do not worry too much about how long you are taking. Stay with your team and enjoy it! * Team participation is so important to the feel of the event. I would not have wanted to do Mudderella alone. Find at least one teammate. You can also do it with your partner! However, at least one of the members of your team must be female in order to keep the female-friendly vibe that is a counterpoint to other male-centric mud runs. * Definitely coordinate outfits. 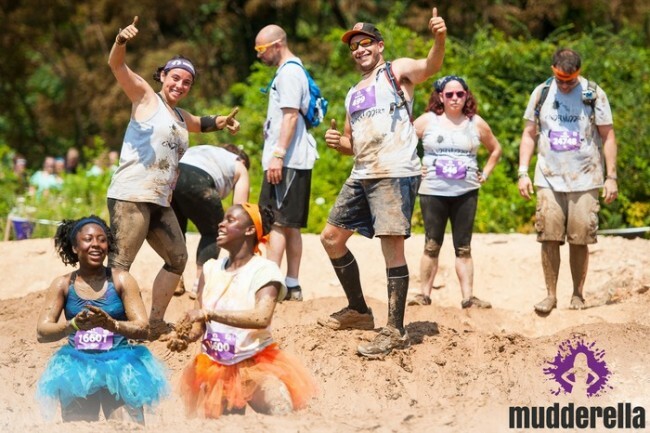 Yes, you will get them dirty but it washes off and dressing weird together is part of the Mudderella culture. * Core strength is key! The obstacles are designed for women’s bodies, so there are not activities that require extreme upper body strength. I was worried about having to pull up on bars or traverse monkey bars, but this was not the case. General cross- and weight-training and cardio exercises will have you in good stead. * After the event is over the fun continues! It is a party. You can celebrate in your wet clothes (hey, most of the mud comes off after the dunking at the end of the slide) or you can wash off in the St. Ives clean up stations and change into your clean clothes immediately. The shower stations got us clean enough to head out for brunch afterwards. 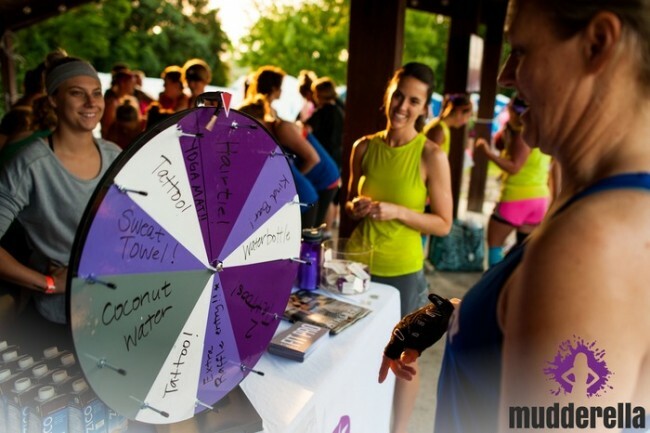 Check out the other Mudderella events happening in 2015. 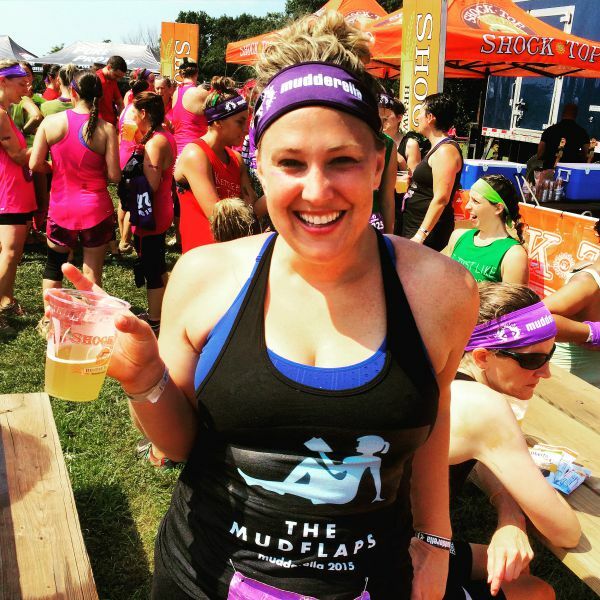 Use the code MUDDBLOGGER20 and receive 20% off any 2015 U.S. Mudderella event! This looks like so much fun! Love the article, Jess; can’t wait to see if I can ever do this!